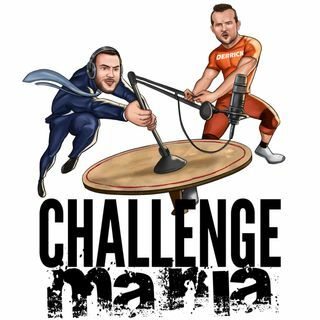 Derrick Kosinski & Scott Yager are joined by Susie Meister to reveal the Challenge Mania Awards nominees. Our good friend Dr. Susie Meister (@Susie_Meister) of the Brain Candy Podcast (@BrainCandyPod) joins us to go through all of the nominees for the first ever Challenge Mania Awards. We use the nominations as a blueprint for discussing the entire year of The Challenge with Susie, who watches every episode with Sarah Rice on their live Q&A's at www.Patreon.com/Brain Candy. Lastly, we are coming to the LONE STAR STATE, when we come to The North Door in Austin, TX on Saturday, February 16th, where we will be joined by The Young Bucks, Hunter Barfield & Nelson Thomas! Stay tuned for how to play in our DRAFT KINGS CONTEST on January 6th to have a chance to win a trip to the Challenge Mania Live of your choosing! As always the www.CHALLENGEMANIA.Shop is open! GET YOUR PODCAST GEAR TODAY!